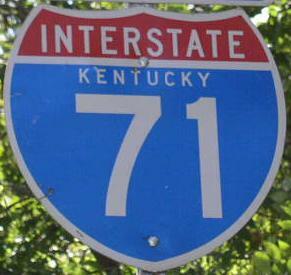 Interstate 71 runs east-west across North-Central Kentucky. 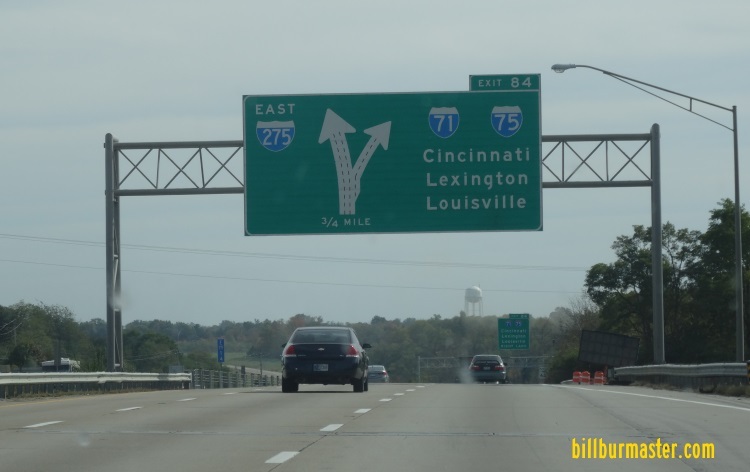 This connects the Louisville Metro Area to the Covington, KY-Cincinnati, OH Metro Area. 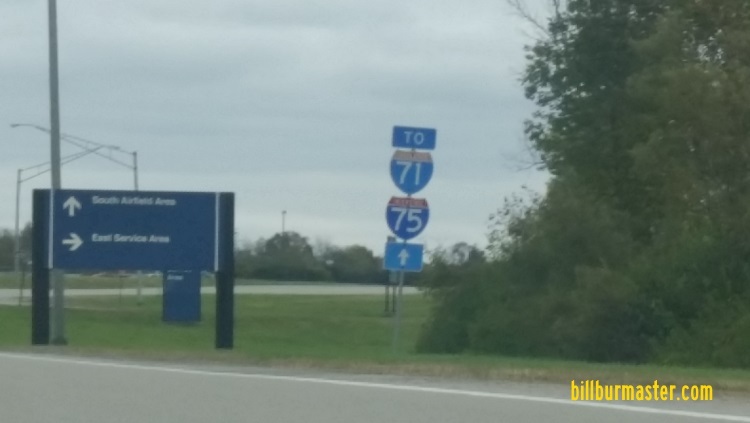 This is one for the shortest interstates in the State of Kentucky. 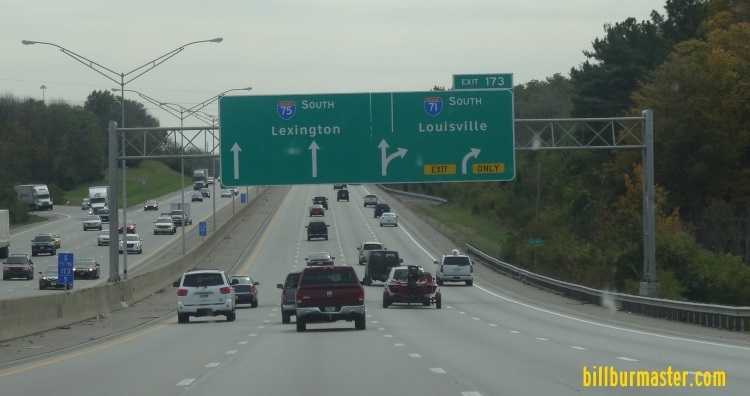 While in Kentucky, I-71 is multi-plexed. 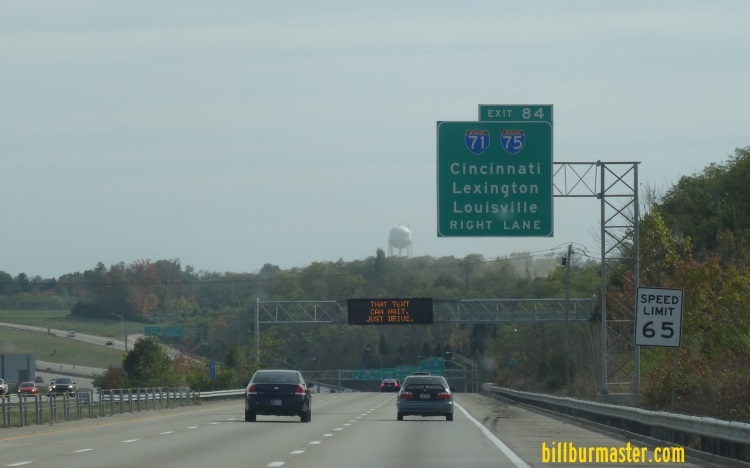 ...Interstate 75, from near Walton to the Ohio/Kentucky State Line. 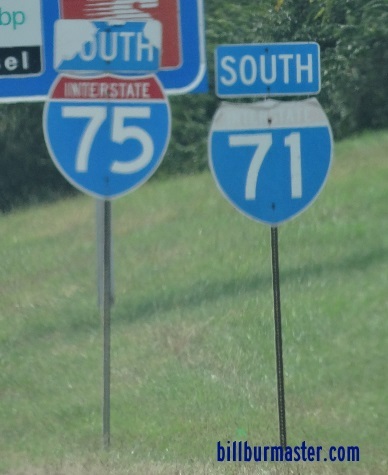 In Kentucky, Interstate 71 crosses the following interstates. 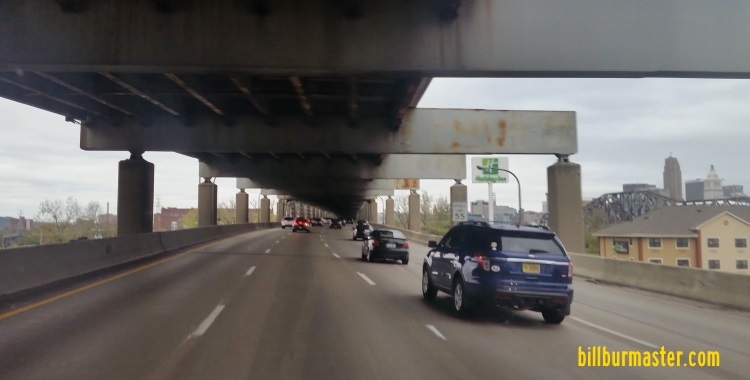 A overhead BGS on WB I-71. 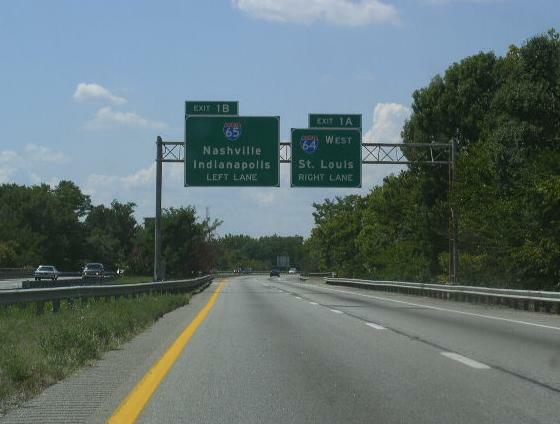 Traffic flows on to I-64 for a short time before reaching I-65. 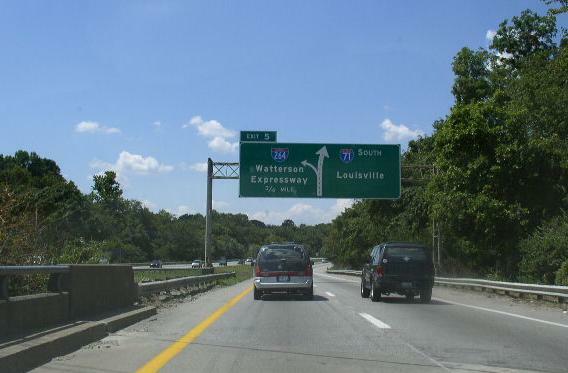 The two mile BGS on WB I-71. 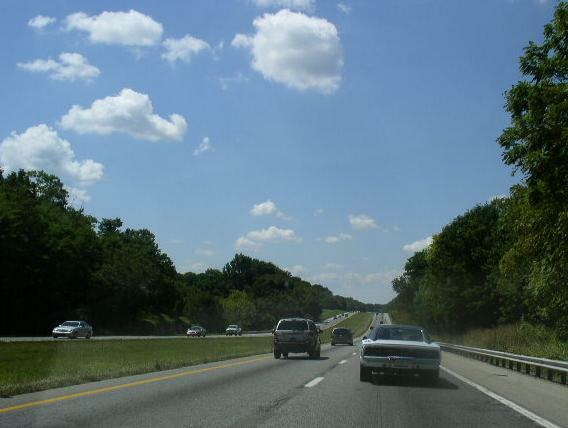 Interstate 275, near Crestview Hils. 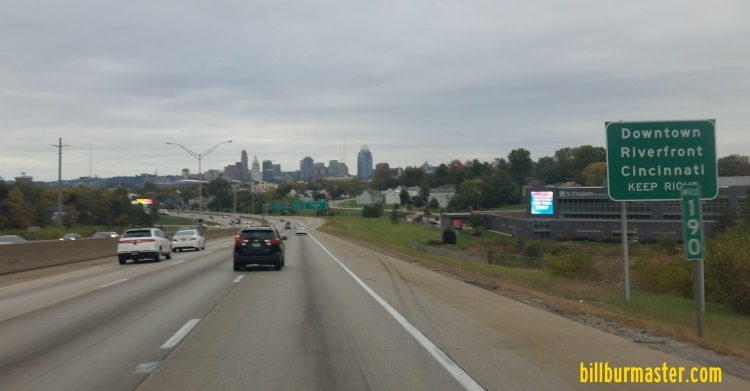 BGS on NB I-71/75 for I-275. 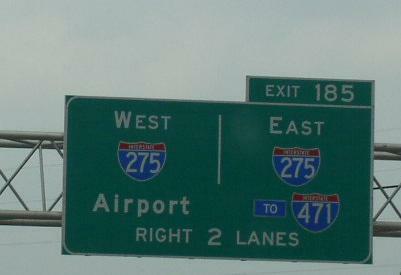 BGS for I-275 on NB I-71/75. 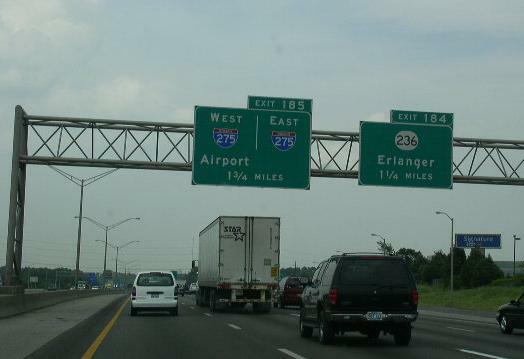 Note how "TO I-471" is displayed. 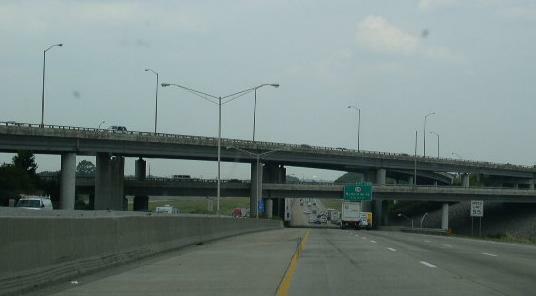 NB I-71/75 at the stack interchage with I-275. 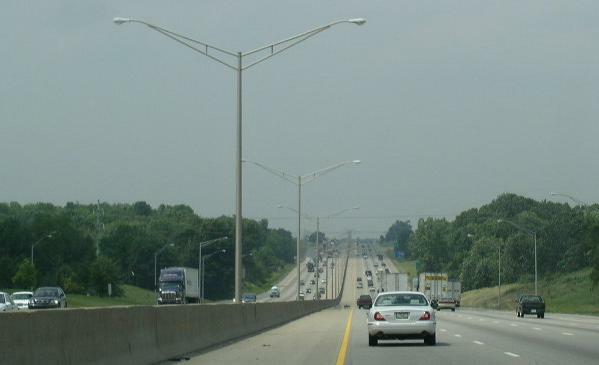 Branches of I-71 in Kentucky. The western end marker. 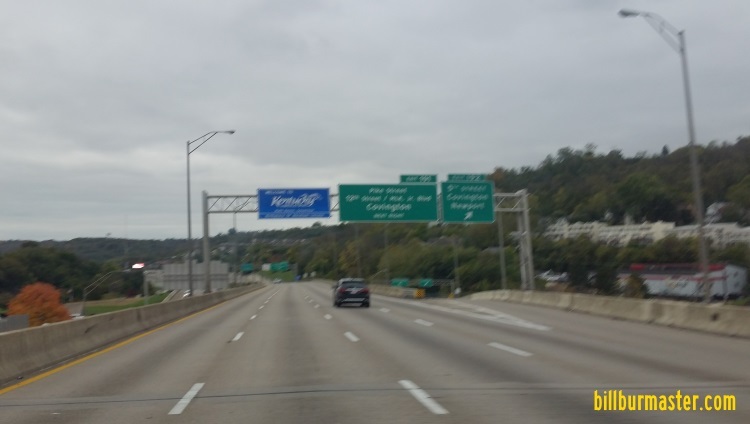 There is one sign posted on each side of the highway. NOTE: The mis-colored banner abover the shield. 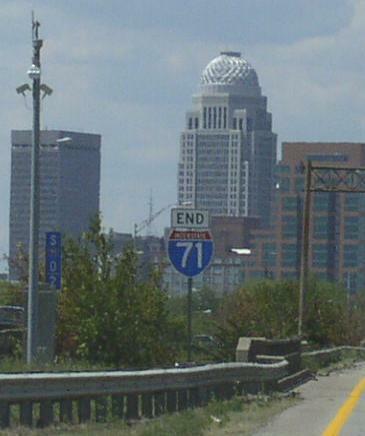 I-71 runs along the Veterans Memorial Freeway. 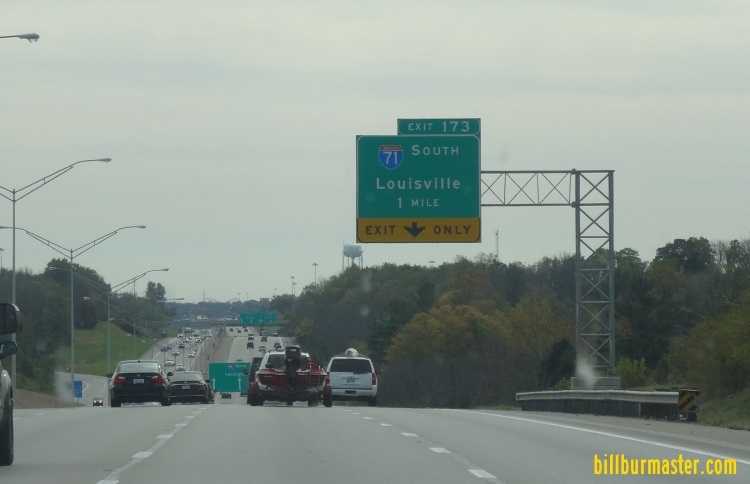 WB I-71 near Brownsboro Farm. 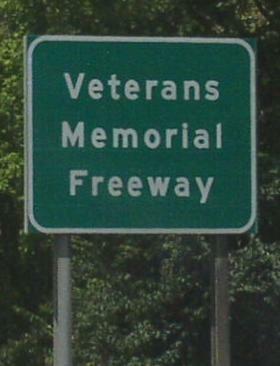 A guide sign on WB U.S. Rt. 42. 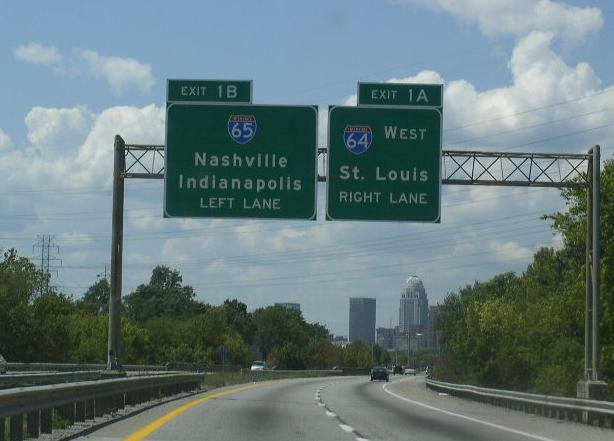 A guide sign on NB I-65. 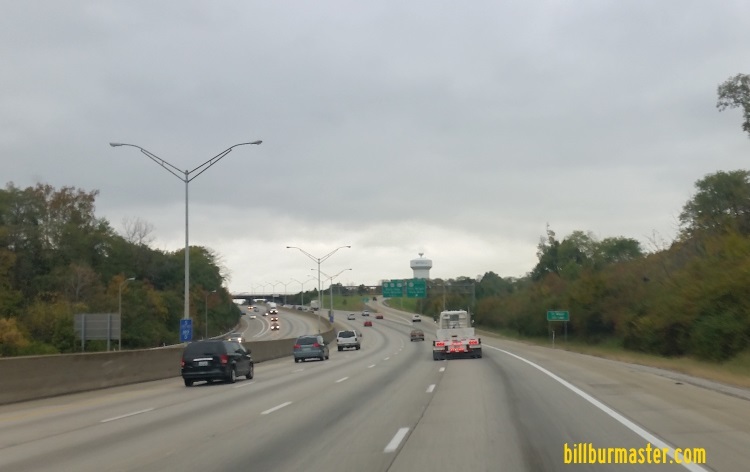 SB I-71/75 near M.P. 177. 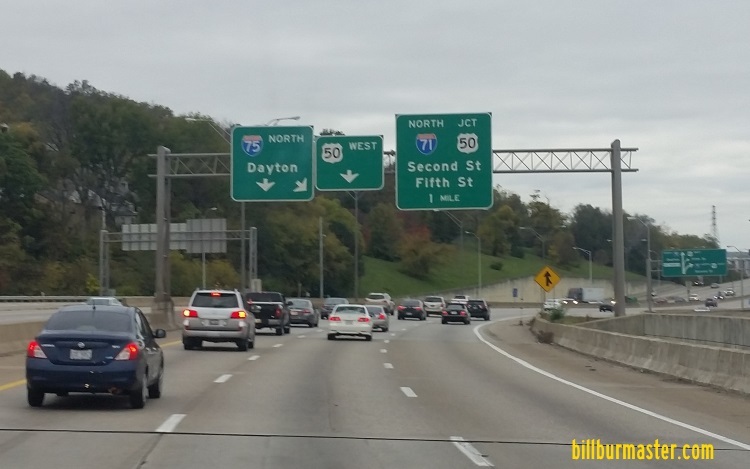 SB I-71/75 south of U.S. Rt. 42/127. 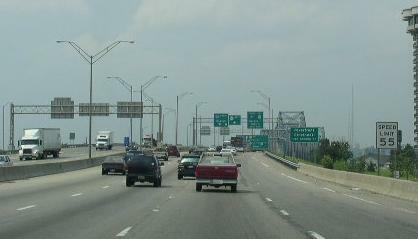 SB I-71/75 at U.S. Rt. 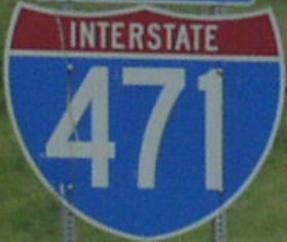 42/127. 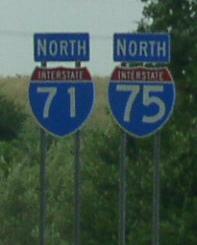 Mile marker on NB I-71/75. 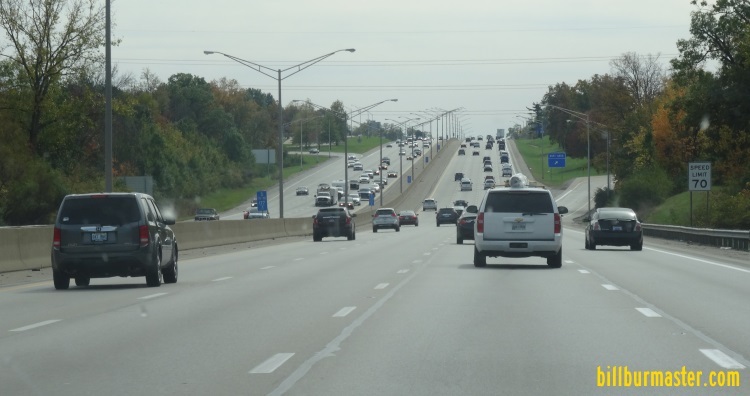 A BGS on SB I-71/75. 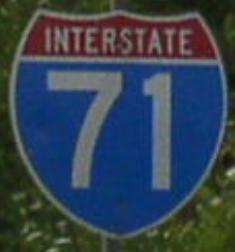 SB I-71/75 near KY St Rt 18. 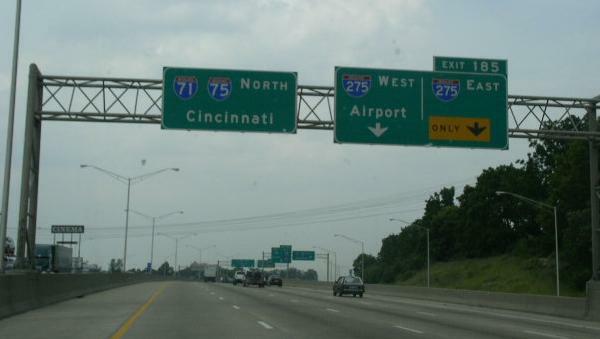 NB I-71/75 near the Airport. 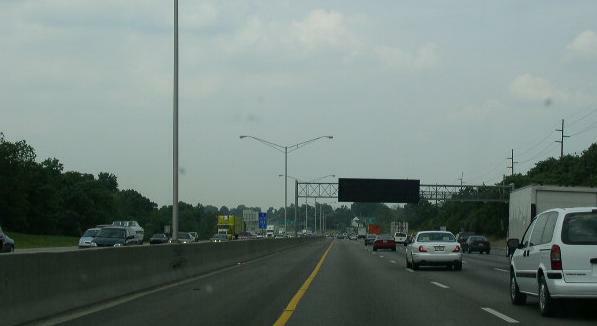 A BGS on EB I-275. 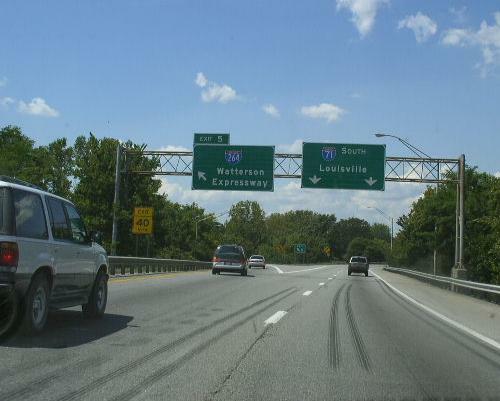 A BGS on EB KY St Rt 236. 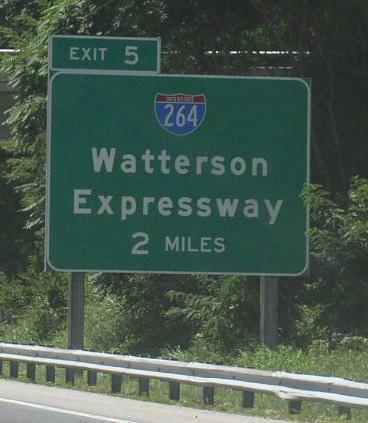 A guide marker on EB KY St Rt 236. 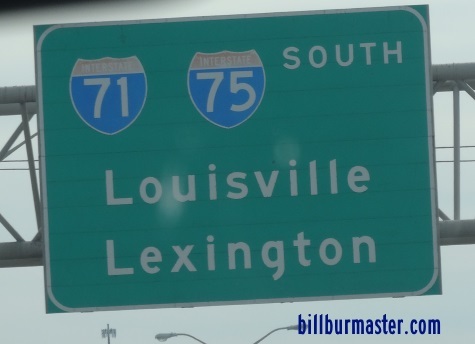 A guide marker on KY Sec St Rt 1072. 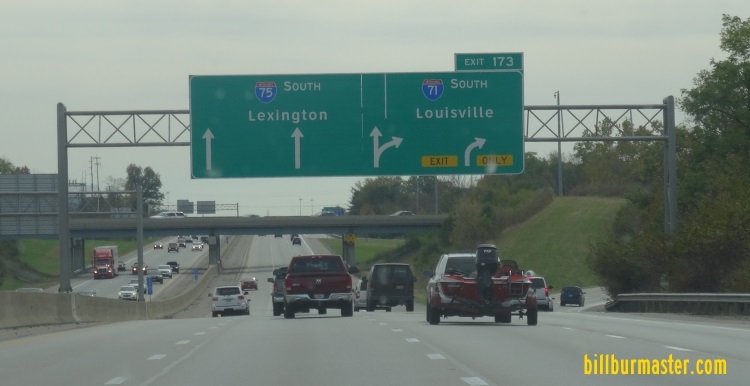 SB I-71/75 near KY Sec St Rt 1072. 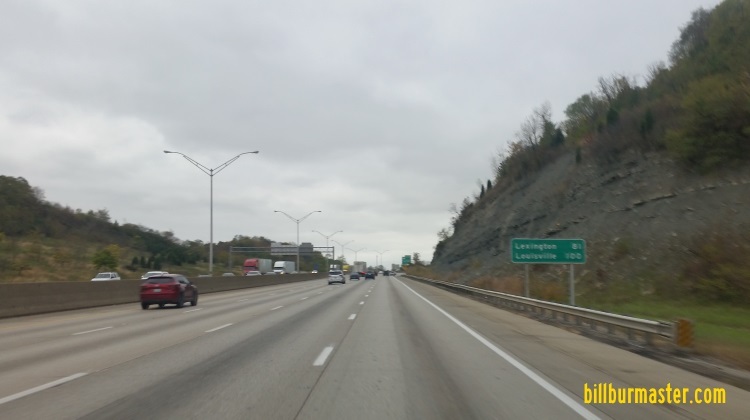 NB I-71/75 south of MLK in Covington. SB I-71/75 near Kenney Park in Covington. 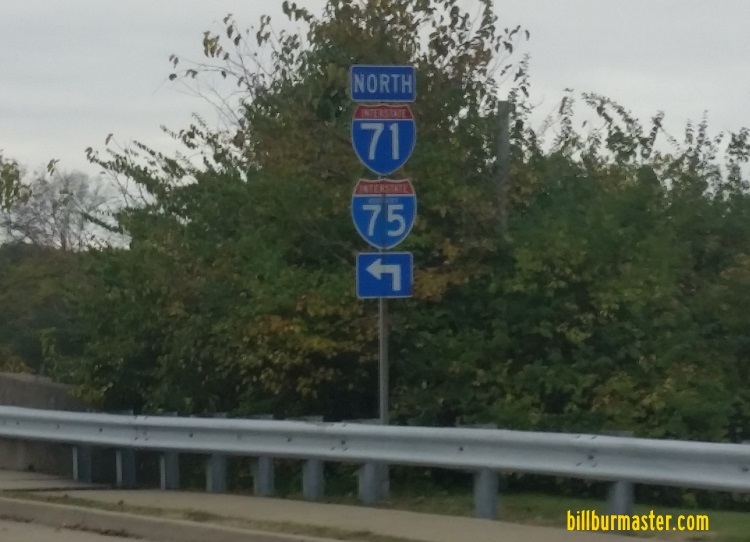 BGS on NB I-71/75 near the Ohio River. 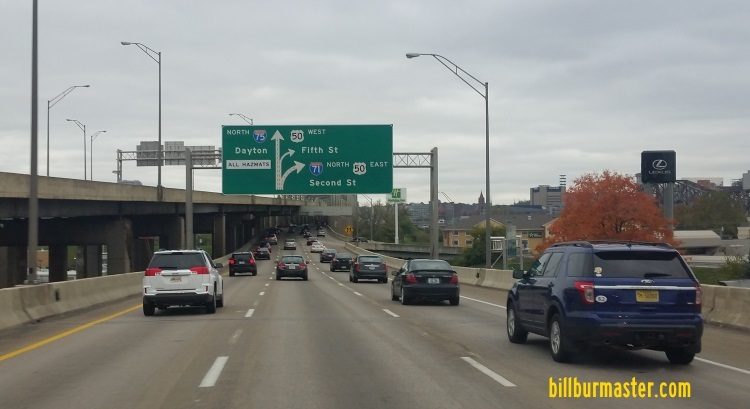 NB I-71/75 at 9th Street in Covington. 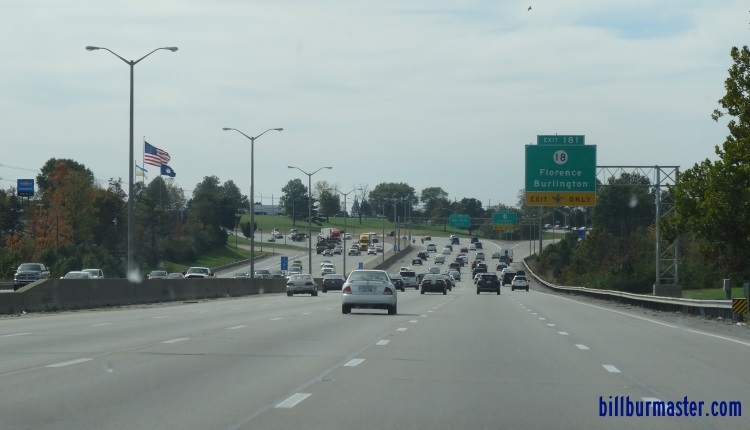 NB I-71/75 near the Ohio River. A close up of the BGS from the picture above. 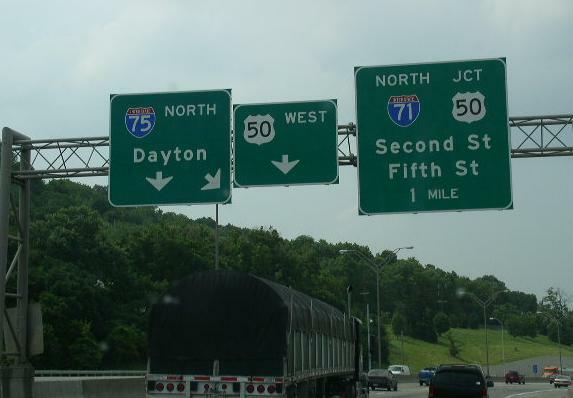 NB I-71/75 north of 9th Street in Covington. 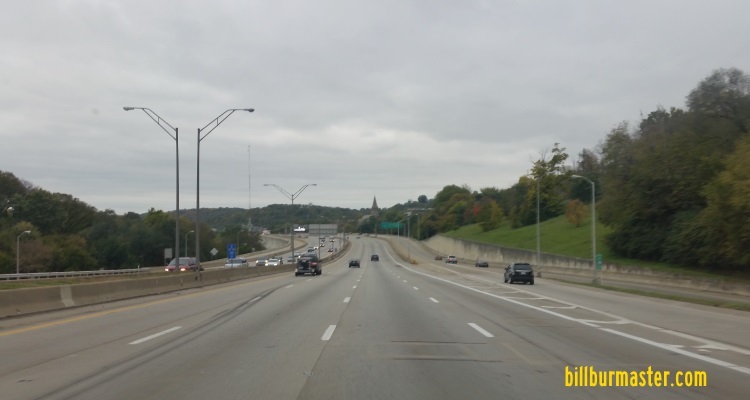 SB I-71/75 south of 5th Street in Covington. 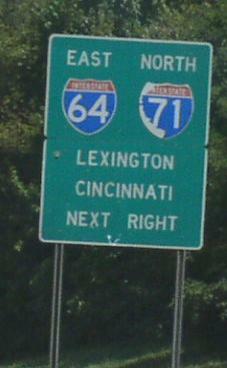 SB I-71/75 at the Kentucky Welcome Sign. 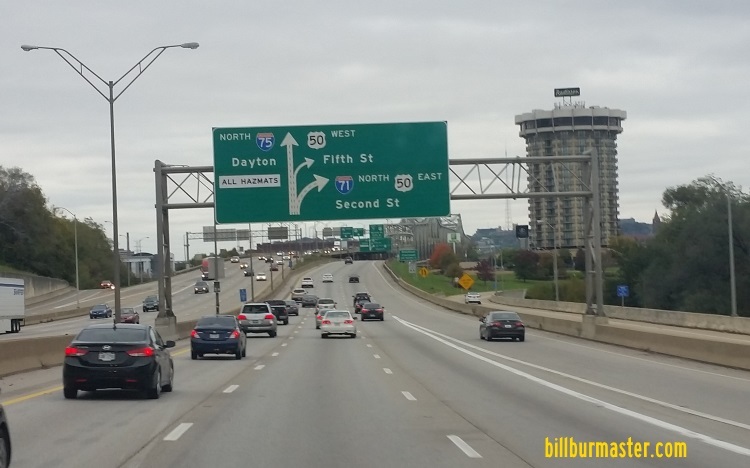 NB I-71/75 south the Ohio River. 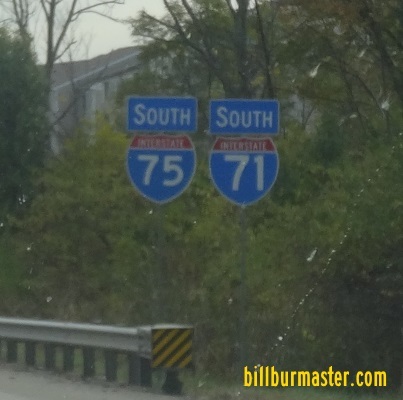 NB I-71/75 south of the Ohio River. 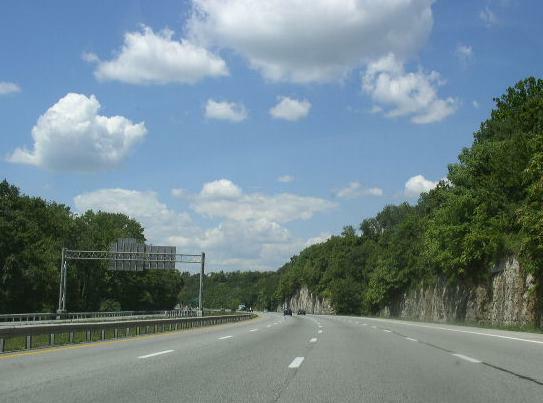 The last BGS in Kentucky on NB I-71/75. 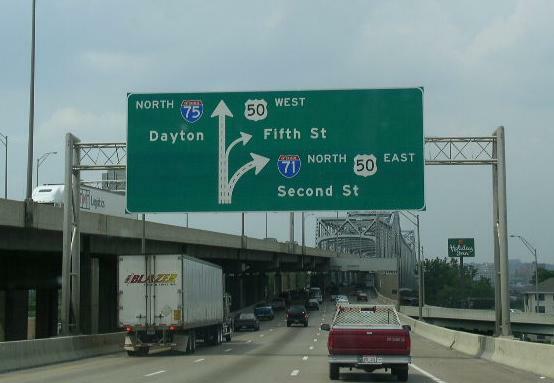 NB I-71/75 on the southern bank of the Ohio River. 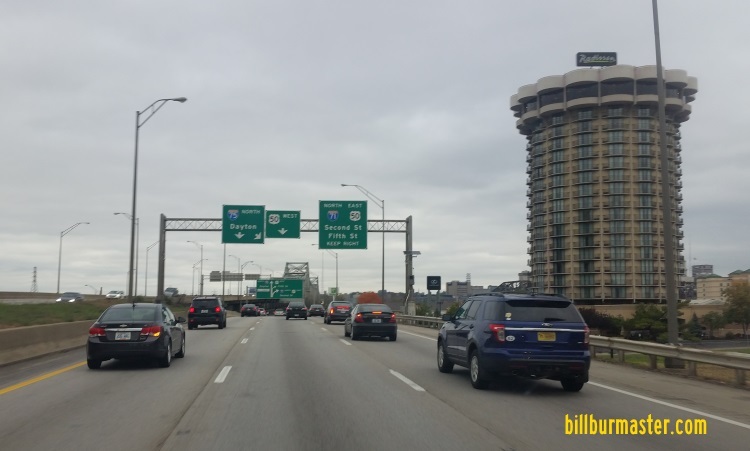 NB I-71/75 crossing the Ohio River into Downtown Cincinnati, OH. 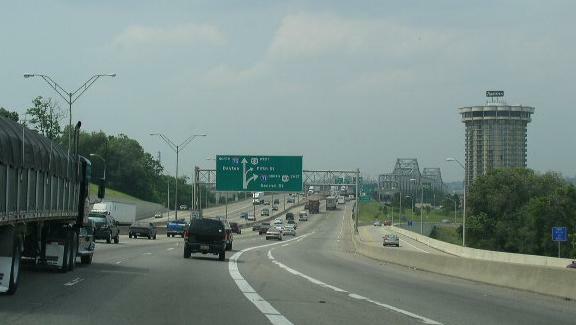 NB I-71/75 crossing the Ohio River. 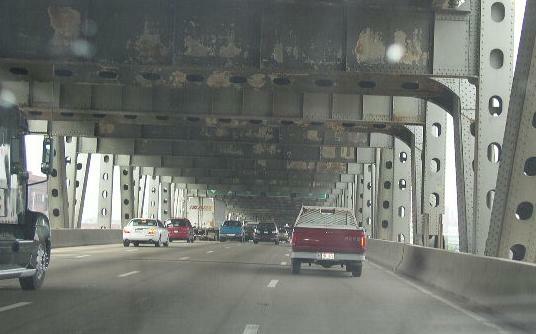 NB I-71/75 crossing the Ohio River. 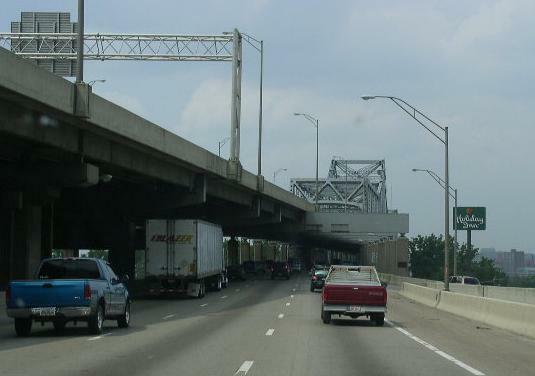 SB I-71/75 is on the upper level. 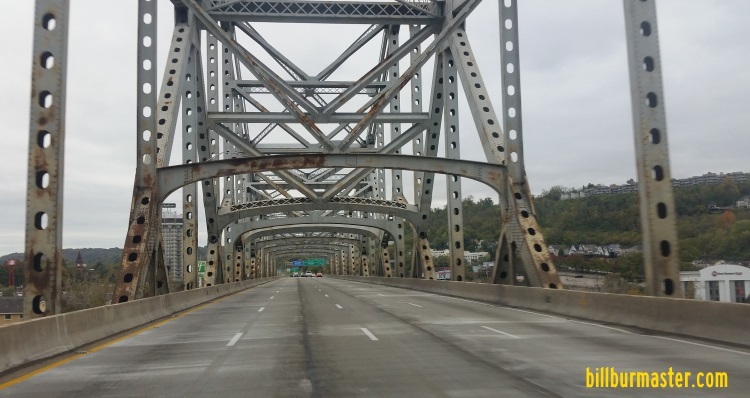 SB I-71/75 crossing the Ohio River.